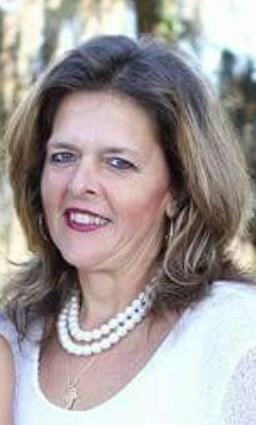 Jacelyn Ann Naser, age 51, of Bluffton, S.C. and formally of Edison, N.J. passed away Sunday March 31st at home surrounded by the caring love of her family and friends. She was born on April 19, 1967 in Rahway, N.J. to Simon and Joan Buczek. Jacelyn graduated from St. John’s University where she earned a B.S. Degree in Accounting. Jacelyn spent many years working as an Accountant and a few years working as a Teacher’s Assistant at Pritchardville Elementary School in Bluffton where she enjoyed working with the school’s amazing staff and watching her children blossom into amazing students. Jacelyn and her family were parishioners at St. Helena’s Roman Catholic Church in Edison, N.J. and later became parishioners at St. Gregory The Great Roman Catholic Church after moving to Bluffton, S.C. Jacelyn was a devote Catholic who passed her strong religious beliefs along to her precious children. Jacelyn enjoyed biking, swimming at the community pool, and going to Hilton Head’s beautiful beaches with her family and friends. Jacelyn is survived by her husband of 16 years, Nader; three sons: Romeo, Zachary, and Leo; daughter Alena; brother Anthony Buczek; and sister Adrienne Eosso (William). The family will be receiving friends and family from 6:00-8:00 PM Friday, April 12, 2019 at Gosselin Funeral Home, 660 New Dover Road, Edison. Funeral Services, Saturday, April 13, 2019 at 9AM at the funeral home followed by a 10AM Mass at St. Cecelia RC Church, Iselin. Interment St. Gertrude Cemetery, Colonia.